Even more so than most medical malpractice cases, nursing home injuries are usually preventable. Every mistake that causes harm or death has been caused countless times before. Doctors and nurses and orderlies know what they should do, and they know the consequences of ignoring their duties. 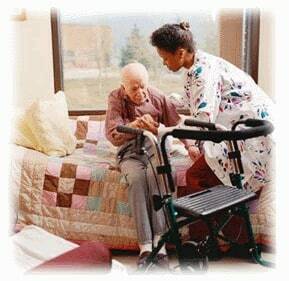 Our firm handles nursing home injuries. Every one of them is heartbreaking. We put our families and friends in trust to people and corporations who, all too frequently, take our money, and abuse that trust. No family should have to go through this. Learn about the steps in a Maryland nursing home lawsuit. The reality is that all of the research in the world does not give you immunity from negligence in an assisted living facility. Awful things happen all of the time even in nursing homes that appear to be quite good. But what good research can do for you is give you the best possible chance to put yourself on someone you love in a nursing home that is most likely to provide quality treatment. That is really all you can do. If someone you love has injuries of unknown origin, bed sores, a broken hip or frequent falls and you are suspicions of elder abuse or nursing home negligence, a personal injury lawsuit may be filed on their behalf. If you believe that you or someone you love has suffered a serious injury as the result of nursing home abuse or nursing home neglect, call our nursing home attorneys at 800-553-8082 for get a free Internet consultation to discuss a potential lawsuit. There are no fees or expenses unless a recovery is obtained.